I’ll admit it: I’ve become obsessive when it comes to spotting the aurora borealis. Even though the display in Iceland last year was spectacular, it was more the beginning of an addiction than a satisfied conclusion. While there is never any guarantee of seeing the lights, it seems fair to let your hopes soar when you’re inside the Arctic Circle. I mean, come on. What better place to see them? In Iceland, I used this website to track auroral activity, but as the site doesn’t include Finland, I opted for this site instead. Both nights we were in Kakslauttanen, the forecast was strong, between 4 and 5 both nights. There is something about seeing that thick green band blanketing your location that releases a ton of endorphins. It’s galvanizing. All we needed to see a show was a clear sky. We tossed back two pints of Koff and left the dining lodge at 10 with a bottle of Merlot. Determined to stay awake, we played every category of HeadsUp on my phone. (If we’re talking about must-have apps for world travellers, this should be at the top of your list.) At midnight, we brought the game outside, craning our necks between rounds and – nothing. The skies had been overcast both nights and the cloud cover was not breaking any time soon. A nebulous green haze blurred the horizon far away but that was all. Convinced the lights would show, I set my alarm for 3 and stumbled out into the cold. Nothing. I knew they were up there somewhere, bright and disarming beyond the clouds, and I felt defeated. Of course, it didn’t help that we were leaving the next day. At 3:30, I gave up and went inside. They say that spotting the lights just takes clear skies and a bit of luck. It also takes patience. It helps if you have an amazing woodsy cabin to retreat to with good company, a bottle of wine, and a few more rounds of Heads Up. 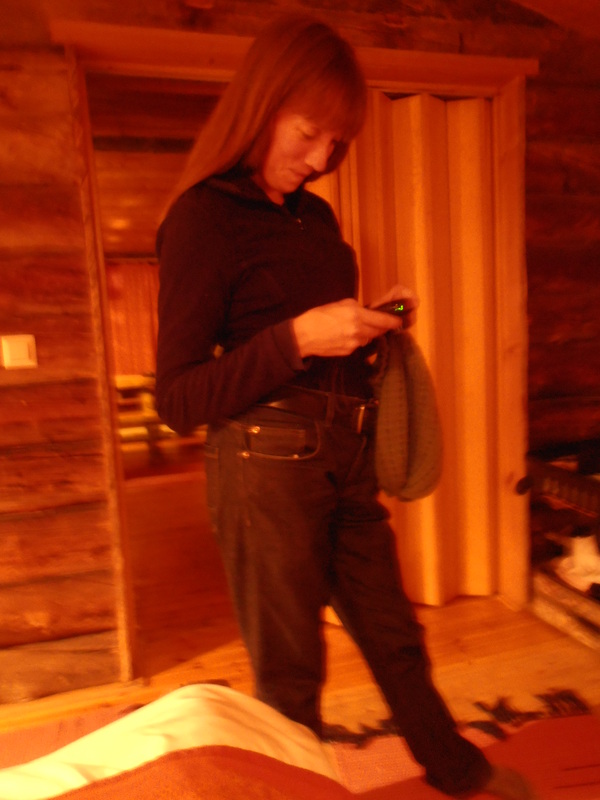 Aurora hunting requires two pairs of jeans. 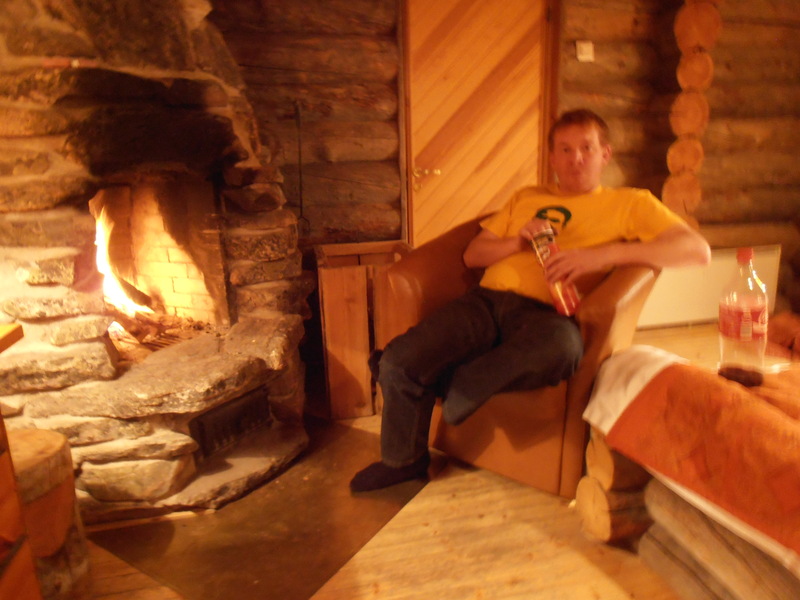 Jamie, boasting the necessities for staying up all night: Pringles and a fire.